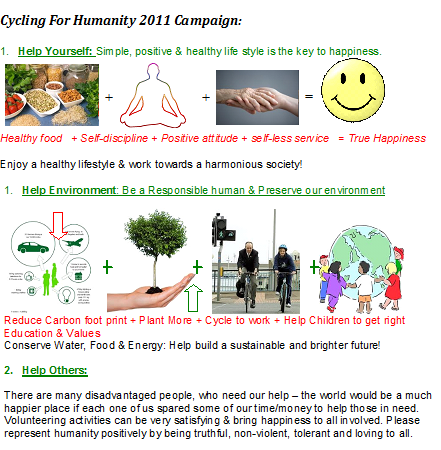 Why Cycling for Humanity worldwide Campaign? Day by day people are experiencing more and more problems, every day we see several painful or inhuman incidences. Recently, we have seen brutal incident at Delhi and there are many such things which are happening around us. Since several years people have been talking about several issues like global warming, pollution, unemployment, corruption, natural calamities, savior health problems, drug addictions, irresponsible people etc. Every one want to get rid of these problems, but very few people really think about root cause of these issues and some among them works in real solution to address all these issues. Whatever problems we are experiencing root cause is lack of humanity, selfishness of people or human greed. Unless we bring humanity into real life practice it is impossible to address all these issues. The only way we can help the situation is by simplifying our lives. This is the desperate need of the time, where each one of us responsible to fix. Majority of the people forgotten their responsibility as human, they understand that life is for survival and for satisfying their own desires, but they don’t really see how much damage they are doing to nature and they cause disharmony in the society. 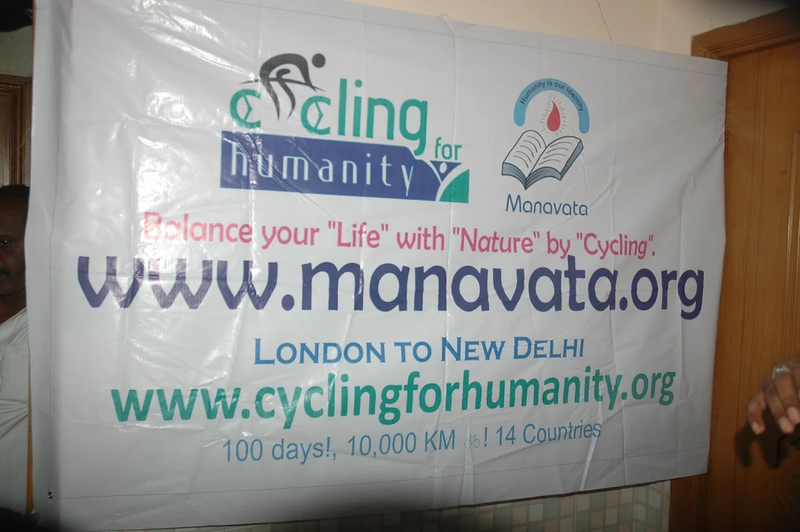 That is the reason Manavata has taken an initiative called ‘Cycling For Humanity’ and conducing cycling events in different parts of the globe to inspire people towards eco-friendly, simple living. 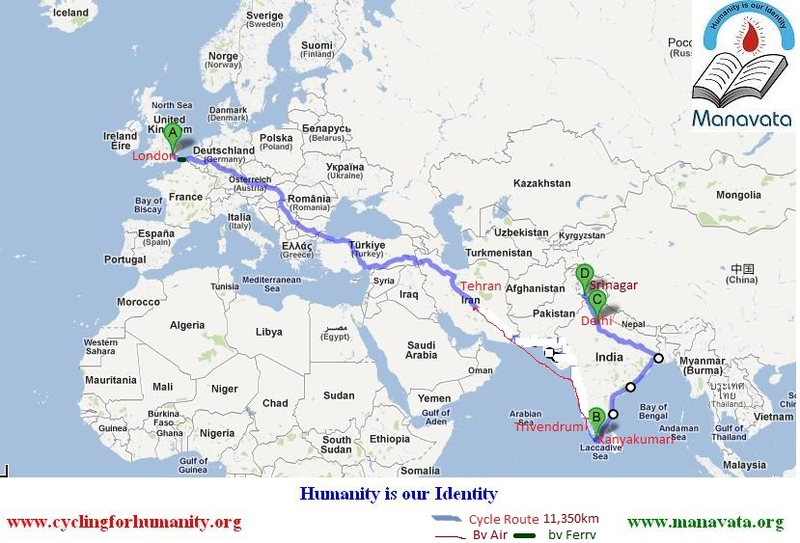 A Harmonious Ride for Humanity! To create awareness and bring about a positive change in humanity towards humanity! 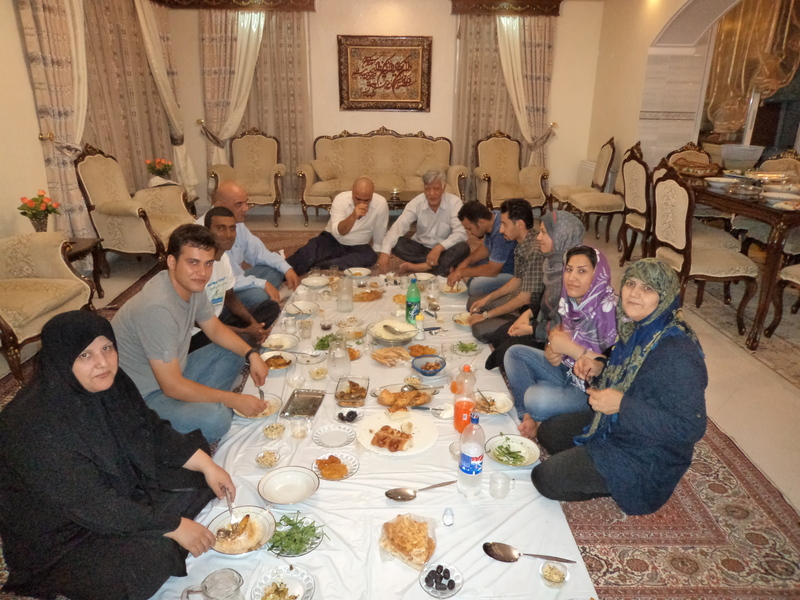 To integrate likeminded people for a noble endeavour! To inculcate, imbibe and inspire youth in making them aware of their social responsibilities! During the course of such an endeavour, he has also had the pleasure, privilege and fortune of coming into fruitful contact with a sea of humanity comprising more than 50,000 and also more than 50 institutions He has also derived and delivered inspirations at various individual meetings, seminars and local media interactions. This also provided a great platform and a lasting pedestal for serving people. Got opportunity to engage in flood relief activities which incidentally was instrumental in lending succour to more than 5000 people in 15 different villages in Jajpur district, Orissa, India. 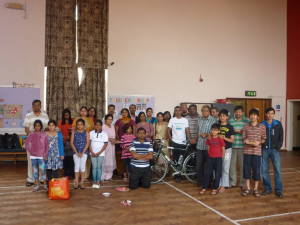 Enlivening commitment from many an inspired young populace by way of enlisting in the 3H mission. Invigorating Medical camps and purposeful plantation drives undertaken the help of motivated volunteers. Great learning from many intellectuals & nature along the route. 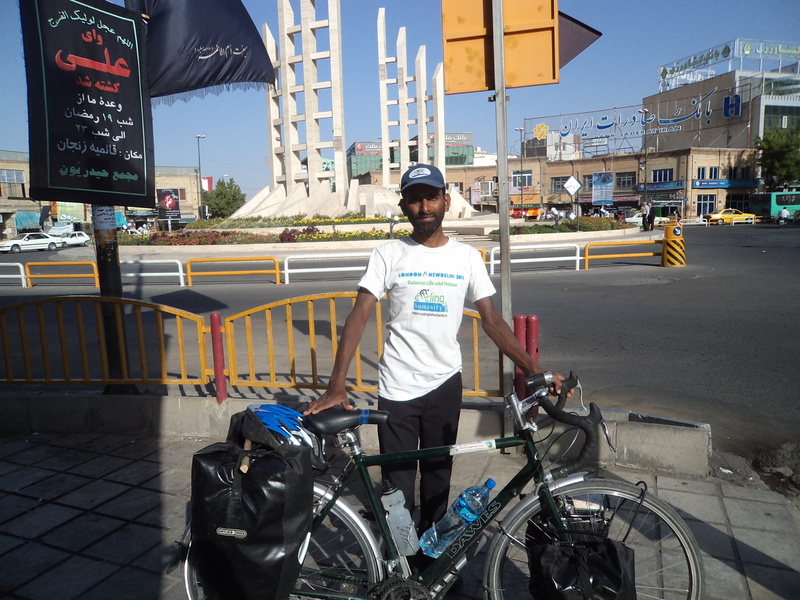 Around 200 cyclists joined in this movement in different parts of the world. 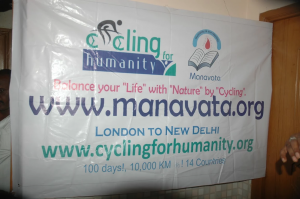 Cycling for Humanity 2011 started from London on 25th Jun 2011 with a voluntary blood donation event on 24th. 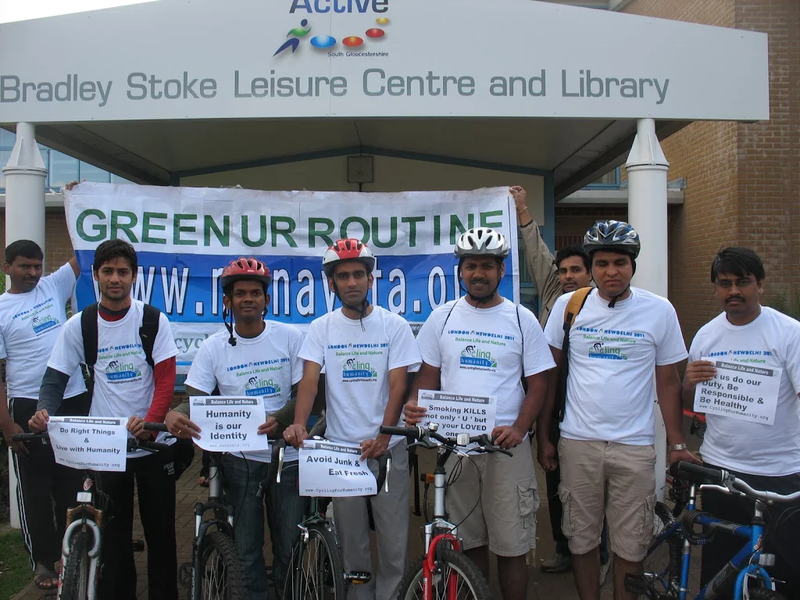 Many volunteers cycled upto Dover. 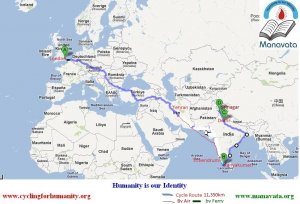 PR Rao cycled till Belgium and Raj Marni cycled upto Austria along with Srini. 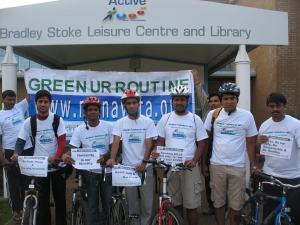 Around 35 volunteers participated in this including 19 cyclists. 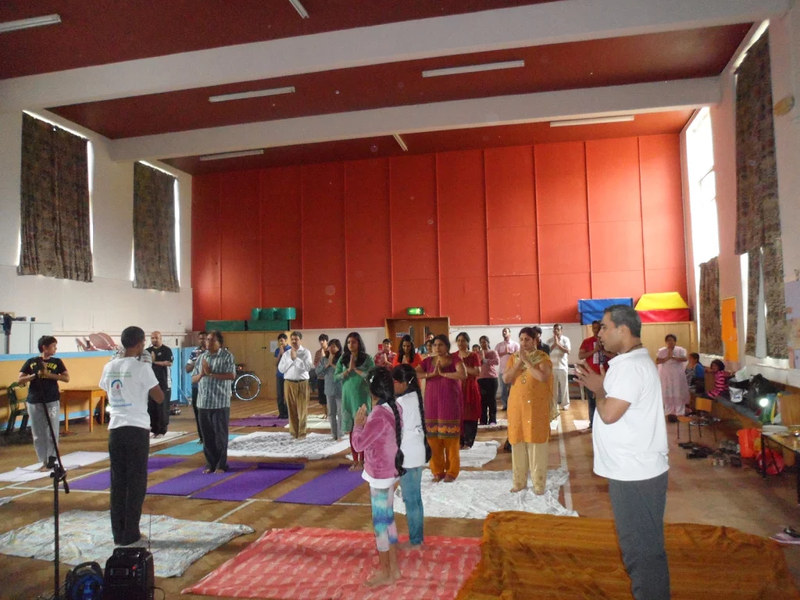 A day before Manavata has conducted a blood donation camp in London with the support of National Blood Service. Srini and many Manavata volunteers have donated blood in this camp which is a good start of humanitarian activity in CFH 2011. It is a great team work to make a wonderful start. Mr. Boris Jonson, Mayor of London and many key leaders have wished for the success of this program. Raj Ghat today was bustling with activity and purpose. 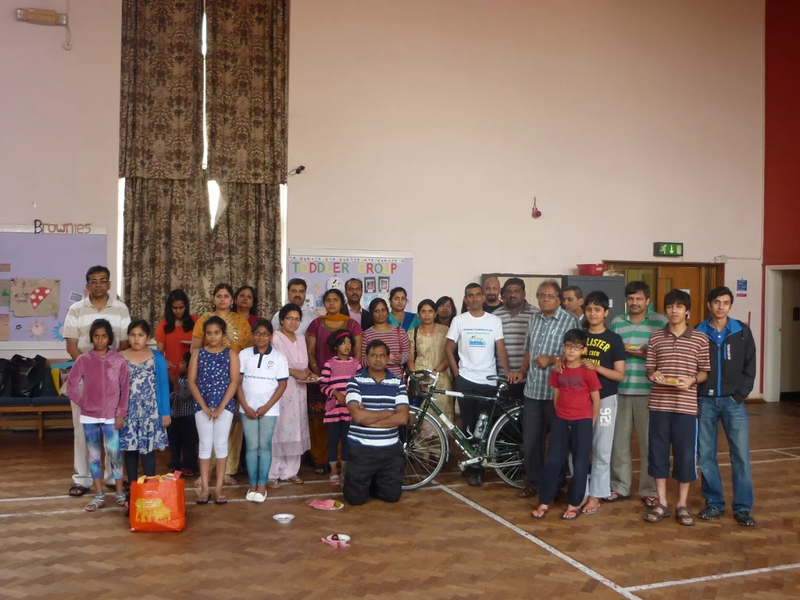 Around 50cyclists from NSS, IIT Delhi had gathered for a noble cause and an endearing purpose. 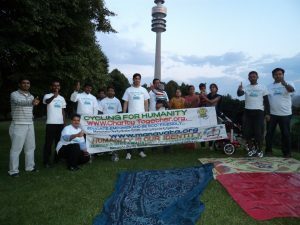 For CFH had after traversing 14 countries congregated at the Capital city on the 142nd Anniversary of Mahatma Gandhi. The motivated crowed were possessed by a burning desire to make social change a reality. The catchwords were HeaIth, Happiness and Harmony. 14 Countries covered: UK, France, Belgium, Luxemburg, Germany, Austria, Slovakia, Hungary, Serbia, Macedonia, Greece, Turkey, Iran and India. 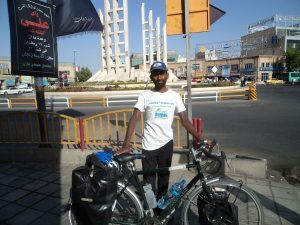 In India Srini has cycled through 14 states: Kerala, Tamil Nadu, Andhra Pradesh, Orissa, West Bengal, Jarkhand, Bihar, Uttar Pradesh, Haryana, Delhi, Chandigarh, Panjab, Himachal Pradesh, Jammu & Kashmir.